Amazon Web Services (AWS)'s supremacy could be subject to some significant hurdles thanks to a growing dissatisfaction among its customers over the spiralling costs of its cloud technology, according to a report from Technology Business Research (TBR). But the tech giant currently has little to fear from a competitor toppling its dominance in cloud computing as it holds roughly a third of the cloud infrastructure market, said Allan Krans, practice manager and principal analyst at TBR. However, firms are increasingly seeing a disconnect between the predicted costs of providing cloud services and the real-world implementation of the technology across a business. 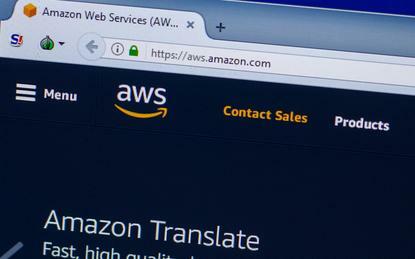 According to Krans, it is the overwhelming nature of AWS’ “vast catalogue of services” that is side-tracking businesses away from their required IT solution. “Many customers noted their initial designs, once implemented, lack the performance needed to meet their performance requirements,” he said. These over-running costs may seem minor on paper, but as Krans pointed out, they can “universally wreak havoc” on companies’ budgets given how they depend heavily on predicting costs. “Particularly compared with more stable internal IT funding, variability on a monthly basis puts serious stress on the finance function,” Krans added. “Cost overruns impact other IT project decisions, serving as a deterrent to new and expanded cloud projects. "In this respect, this unpredictability is bad for all cloud vendors, providing motivation for these providers collectively to further clarify the customer’s financial expectations." Yet according to Krans, these incremental costs are proving lucrative for Amazon’s bottom line, as shown by its last quarterly update, when AWS pulled in net sales of US$6.1 billion - a leap of 49 per cent year-on-year. At the same time, its operating profit rose by 84 per cent to US$1.64 billion. Yet while this looks good in the short term, in the long-term, these mounting costs could prove “the most profound threat”. “If second-tier public cloud vendors such as IBM, Microsoft and Google can develop and deliver streamlined design and pricing calculators that address these unexpected cost overruns, it could very well help carve out a market niche that certainly adds value for customers,” Krans said.